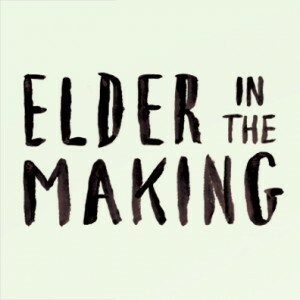 The documentary, Elder in the Making, provides an introduction to the experiences of Indigenous peoples before and after contact. Episode 3: Sacred Ground and Episode 4: Apocalypse explore the significance of the land for the Blackfoot peoples in southern Alberta, followed by cultural and spiritual hardships they experienced with the influx of settler colonists. It’s important to note that the conversation surrounding the deaths of thousands of Indigenous peoples and an integral resource for those Indigenous people is a crucial conversation. It’s important that these conversations are managed well, please read the Crucial Conversations document in advance. The term Buffalo Apocalypse refers to the destruction of millions of buffalo during the 1700-1800s. The buffalo were integral to Indigenous ways of life and provided more than just sustenance, but were also intricately connected with the land and the people. In 1873, US Secretary of the Interior, Columbus Delano, wrote in his annual report, “I would not seriously regret the total disappearance of the buffalo from our Western prairies in its effects upon the Indians. I would regard it, rather, as means of hastening their sense of dependence upon the products of the soil and their own labours”. The European hide-hunters perspectives were pretty clear. In Europe, there was tremendous demand for tougher, more durable leather products. Europeans had developed the proper technology but did not have the continuous supply of animal hide needed to feed the factories. Buffalo hide satisfied this demand. 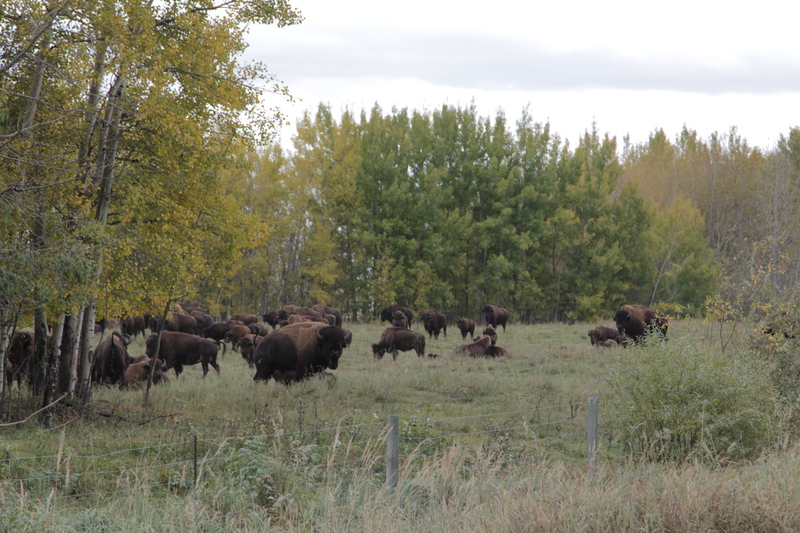 For Indigenous peoples, their way of life was intricately connected with the bison and land. Indigenous peoples have a strong spiritual connection with the bison, and when they began to disappear, it was seen as a “spiritual disaster”. 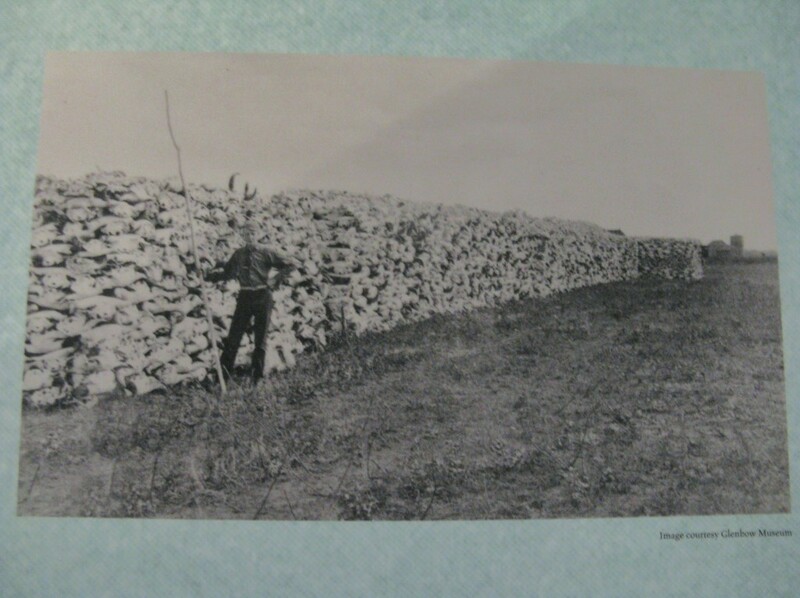 They utilized every part of the bison to provide food, tools, clothing, and shelter for their communities. The idea of an Indigenous Apocalypse refers to the biological effects of first contact between the Indigenous and non- Indigenous people due to Smallpox and other foreign illnesses introduced by the Europeans. The Indigenous population was dying out at an alarming rate following first contact, first contact having caused 95 percent of Indigenous people to be wiped out. Indigenous people lost whole families, communities, important Elders, and invaluable knowledge. The Europeans had adapted immune systems to the illnesses that they brought with them, but Indigenous peoples had no protection because their immune systems could not fight off the illnesses created by the ‘new’ bugs, diseases to which they had never been exposed. Students will write a timeline of the Apocalypse by answering “What followed, what happened, and what came after the ‘Apocalypses’, also known as the first contact between Indigenous People of the Americas, and the European colonists?”. Educators will help guide students in engaging deeper conversations about the episodes by posting the following questions for students to refer to. If students are having a hard time with a question, the quotes under each of the following questions can be used to help guide conversations if the educator is prompted to help.